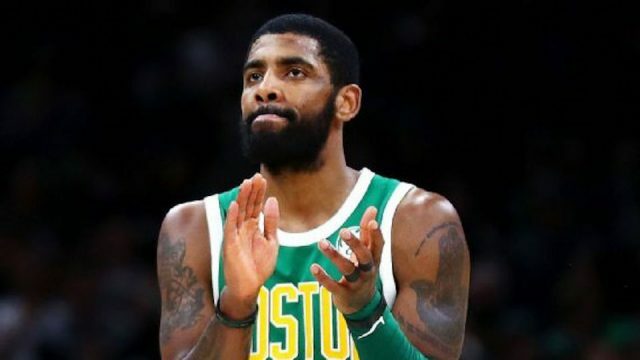 Boston Celtics guard Kyrie Irving has been the face of many trade rumors, with the Boston Celtics beginning the year with a struggling team and speculation surrounding the team all season. When asked about resigning in Boston, Irving said: “Ask me July 1.” He spoke to doing what is best for his career, adding “I don’t owe anyone sh–“. Though the All-Star said “Obviously Boston is still at the head of the race,” he neither confirmed or denied whether he will be wearing a Celtics uniform next season, which is much different from the “If you guys will have me back, I plan on re-signing here,” statement the guard made at the season-ticket holder event in early October. Boston’s rebuilding plan, which has slowly come together since the massive trade with the Brooklyn Nets, has shaped around Irving. The point guard is the key to drawing in Anthony Davis to Boston, as the prospect of playing with the All-Star point guard is enticing to the New Orleans Pelicans big man. The Celtics now face more uncertainty around the team, with the prospect of Davis possibly reshaping the Boston starting lineup. Fans will have to wait until July for some sense of certainty around their star player.